Network security solutions provider SonicWall’s research and development (R&D) centre in Bengaluru, set up in July 2007, has become a significant contributor to the California-based company’s global product development over the past few years. Innovations from the Bengaluru centre will become even more important going forward as the company pushes aggressively into the large enterprises market globally in its bid to broaden its customer base from small and medium businesses (SMBs). Founded in the early 1990s by Sreekanth Ravi and Sudhakar Ravi, SonicWall was acquired by technology giant Dell in 2012. Around five years after the acquisition, private equity firms Francisco Partners and Elliott Management Corp bought Dell’s Software Group, which included SonicWall, and spun out the latter as an independent company. 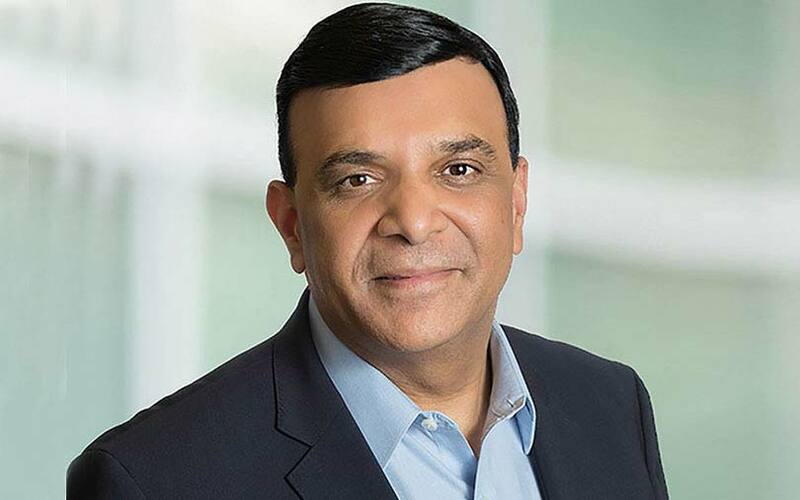 In an interview with TechCircle, Atul Dhablania, senior vice president and chief operating officer at SonicWall, spoke about the company’s push into the large enterprises market and growth plans for India. What are your plans to expand your presence in India? In India, we have around 350 people in R&D and support services. We need to expand. We’ve just moved to a new 65,000 sq-ft facility in Bengaluru with the capacity to grow to 600 people. In a couple of years, the India centre may even surpass the US in terms of the number of R&D engineers. India is not just a great market but also offers a high-quality talent pool. In fact, even in the US, about 35% of our R&D engineers are of Indian-origin. As we grow our sales in this market, we will also need more local support staff for our customers. What kind of R&D are you doing at Bengaluru? We do a lot of product development in Bengaluru, the majority being in the area of next-generation firewalls. Over the last four years, we have rolled out a number of cloud security products globally, some of which have been developed here. In the global security management space, we have developed a platform solution to manage overall security. The entire cloud platform for that solution was developed here in India. As a market, what is India’s contribution to your global revenues? I don’t think we can disclose numbers. Globally, we operate in two segments. One is large enterprises and the other is SMBs. Currently, 60% of our revenue comes from SMBs. The SMB market is kind of saturated. There are also government organisations and large universities that are categorised as large enterprise clients. We have looked at our competitors and where their Indian revenues are in terms of percentages and we are at similar levels. But we can grow much faster. India is the fastest-growing country in the Asia Pacific region. In India, we see large enterprises driving growth. The awareness in this market is higher. For SMBs and startups, security is often the last thing on their minds. Some of them go with solutions offered by cloud providers, though that doesn’t necessarily mean they are protected. We are affordable as well. We need to increase the awareness about our kind of solutions. The cybersecurity market has several players with multiple solutions. How do you stand out? In cybersecurity, customers need to work with someone with a track record of being a company with great efficacy, right tools and right roadmap. Network security does not come in one form like a firewall. It cannot be based solely on endpoint security or cloud security on a standalone basis. We have the entire suite of products from endpoint to firewalls to email security to cloud. Customers need the whole suite to make sure that their data is secure. How is the Internet of Things going to change the cybersecurity paradigm? With billions of devices, the endpoint in itself can be quite a huge market. Yes, it is and is the last line of defence. But you cannot manage cloud security through the endpoint. What if you have encrypted threats? There is no way you can figure out what the threat is. That is where the firewalls come in and help you to decrypt and then the endpoint will catch it. In the security space, there are niche players, there are challengers and leaders, and what we want to be is an all-round player. And the multitude of service providers means less return on investment. The system integrators work towards lowering the total cost for the customers. It is also not easy to integrate all the best products from different service providers. But since large enterprises work with system integrators, isn’t it ultimately those players that will take a call on the vendor? Yes, and we work only through channel partners, most of whom are system integrators. We are educating them as well as they are our primary consumers. A lot of the SMBs don't have the resources to manage all this. If they want to implement a security solution, they cannot figure out what is happening in their network. So we have a security centre dashboard across all different solutions in one place. We have a strong focus on SMBs. The point is the threat does not know what kind of a customer you are. So the ease of use is needed to win the SMB market, but while keeping the same traits and efficacy that we provide to the large enterprises.